Washington doesn’t have a good record for trying to reintroduce pronghorns, but state wildlife officials say improved techniques give the Yakama Nation a good chance of making the latest attempt work. “The science of translocating animals has improved considerably,” said Donny Martorello, Washington Department of Fish and Wildlife big-game manager. “Thirty years ago we brought in about 30 pronghorns in the back of a stock trailer, opened the doors and wished them luck. They wore no radio collars, so we couldn’t monitor them. There were no follow-up releases. The Yakama Nation appears to be right on track with this science, he said. Although the tribe would not allow its biologists or members to be interviewed for these news stories, sources say those factors were followed. Safari Club International members who funded the pronghorn relocation from Nevada to Washington last weekend said 99 pronghorns were released on the Yakama Reservation, with 19 wearing radio collars. Only nine or 10 of the pronghorns were bucks, said member Glenn Rasmussen of Wapato, Wash.
“Next, it’s important to follow up with second, third and maybe fourth releases to give the population the head start and genetics it needs to take,” Martorello said. The tribe would not confirm its plans for future releases or management. Washington wildlife managers made three unsuccessful attempts to reintroduce pronghorns in the 1900s. Starting in 1938, with no pronghorns in the state, one attempt involved fawns that were brought in and raised for release for three consecutive years. 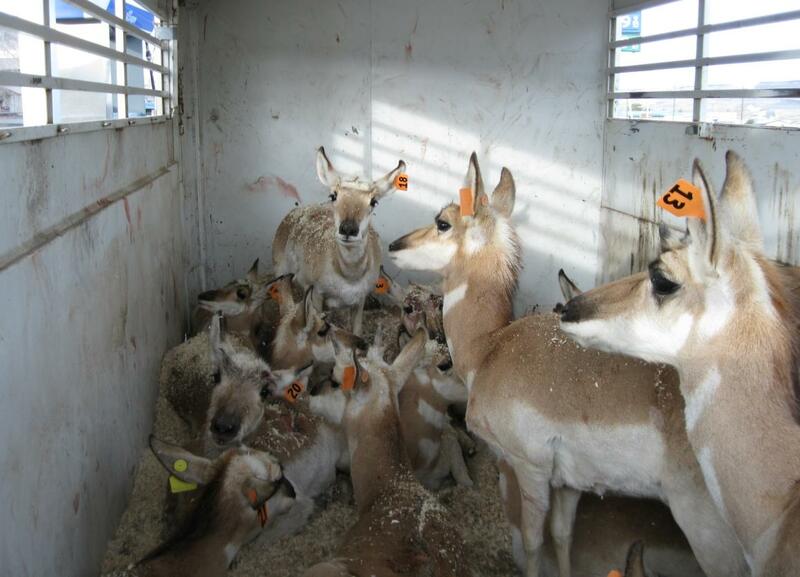 About 100 pronghorns were found in the state about 1950, when another 10 pronghorns were released in Adams County. That herd multiplied to about 80 by 1956 when the statewide population apparently peaked at roughly 200 before beginning an unexplained decline. In 1969, up to 75 pronghorns roamed the Yakima Firing Center and 11 were sighted in Adams County. Groups of animals had been found dead, but the reason was not determined, according to a 2006 WDFW pronghorn report. Disease or poison could have been factors. The last release occurred in 1968, with 21 pronghorns turned loose in the Ellensburg and Stratford regions. In 1976, only 50 pronghorns were known to exist at four areas of the state. By the late 1990s, they all appeared to be gone.